With many organisations modernising their infrastructure, it’s easy to think that the new systems will be catered for by existing data protection tools, or even that data protection is ‘built in’. In most cases, neither is true. Out of the box these solutions stacks (and others like them) don’t provide the VM and application recovery options and DR that you need in our ‘always on’ world. And if you don’t modernise your backup and recovery processes, you could be missing some game-changing technology. 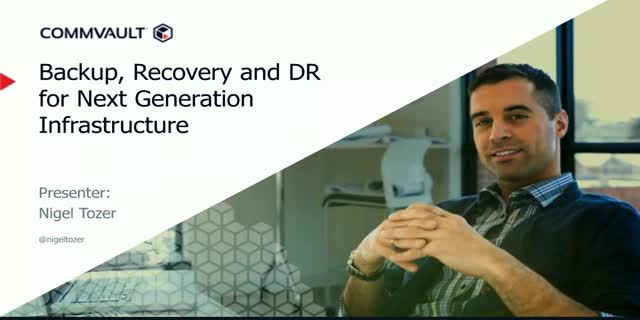 Modern approaches to protect data on systems such as FlexPod, flash arrays, converged and hyper-converged systems can provide VM and Application aware protection that can increase your ability to recover critical data, simplify recovery and DR processes and help you leverage cloud without the need for separate tools or cloud gateways. It also allows you to streamline dev and test operations and leverage commodity hardware for secondary storage to reduce your costs. Many organisations have their data protection fragmented between different systems, based on virtual, legacy, cloud and hardware specific tools; choosing modern solutions for your new infrastructure could be the first step to unifying these systems to reduce costs and do more with your data.